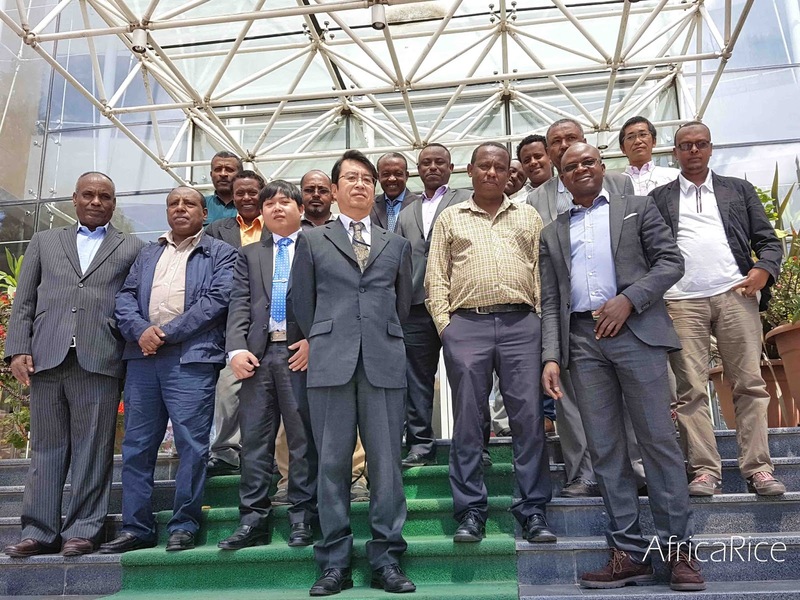 National partners from Ethiopia comprising 26 statisticians, researchers and field workers from the Central Statistical Agency (CSA), the Ethiopian Institute of Agricultural Research (EIAR) and the Ministry of Agriculture and Natural Resources, attended a training workshop on rice survey methods, 24-26 October 2016, Addis-Ababa, Ethiopia. The training workshop was lunched by the EIAR Deputy Director General Dr Adugna Wakjira. 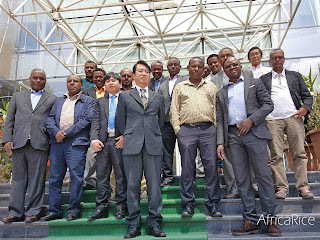 Representatives from international institutes, including the Food and Agriculture Organization of the United Nations (FAO) offices in Addis and Rome, the Japan International Cooperation Agency (JICA) and AfricaRice, also attended. Africarice Impact Assessment Economist Dr Aminou Arouna and FAO consultant Mr Sengphachan Khounthikoummane conducted the training. Different survey methods for rice statistics were discussed during the workshop to improve the data collection methods. The training introduced the participants to two survey methods: the dot sampling method and the list frame method with actual measurement. The list frame method with actual measurement will be pilot-tested in Fogera district – the main rice-producing area in Ethiopia – as part of the Japan-funded project “Strengthening Agricultural Statistics and Food Security Information in Coalition for African Rice Development (CARD) Countries through South-South Cooperation”. The project is being implemented by FAO in collaboration with AfricaRice and CARD member countries.